Thank you for your request. 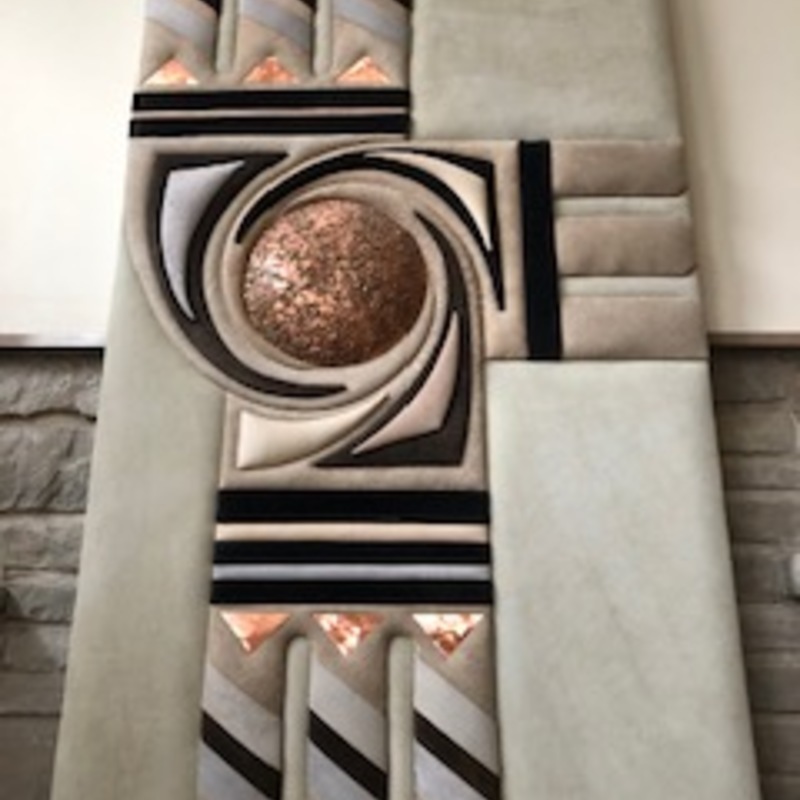 The presented object is a wall decoration or wall decoration made out of suede leather and copper colored metal with the measurements of 60 x 42 inches. This artwork is signed with the name Jo Anna" and dated "90" (1990). Sadly no further information of the biography for this artist is mentioned in auction records or similar databases. An estimation would be between 30 to 60 USD.